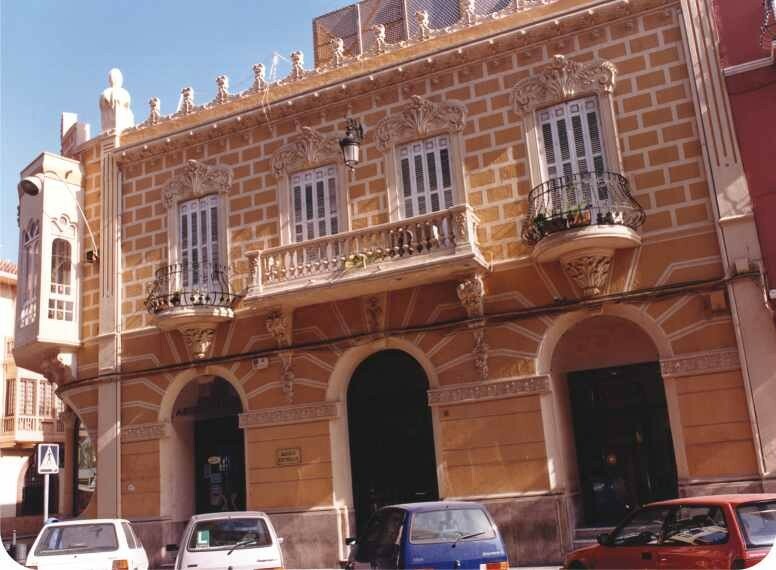 The spread of Modernismo in Melilla was the work of Catalan architect Enric Nieto i Nieto, who settled in the city in 1909, shortly after completing his studies at the Barcelona School of Architecture, and lived there until his death. 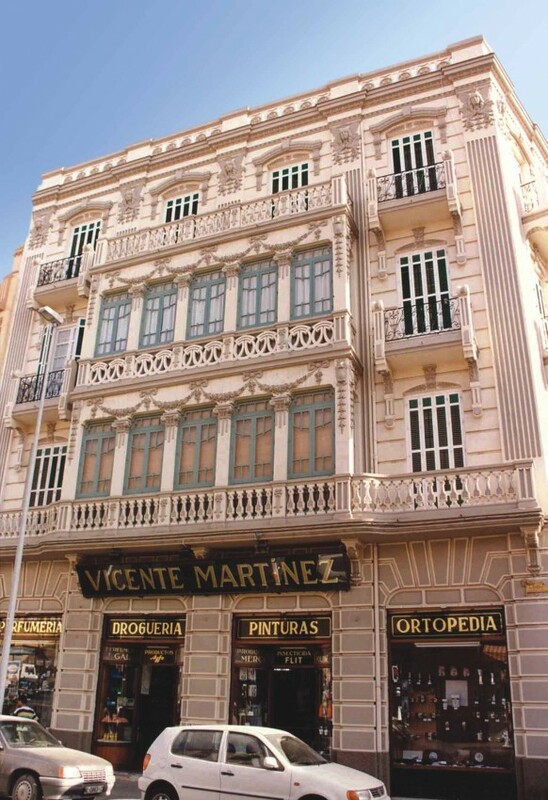 Nieto was the first architect to settle in Melilla and had to compete fully with the military engineers that had until then taken care of not only urban planning matters but also those strictly concerned with architecture. During the early 20th century, the military engineer Eusebio Redondo Ballester designed various exemplary urban planning projects, from new city middle-class housing areas with commercial aims like Reina Victòria or Alfons XIII (1906) to a market project for the city's Arabic inhabitants or various neighbourhoods for workers (1905 and 1907) that were further out from the city centre. 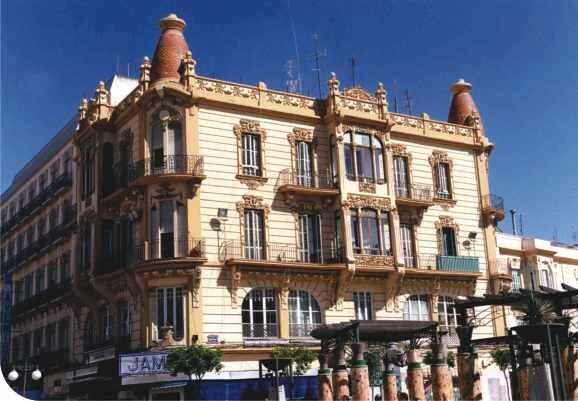 Ballester also designed many public and civil buildings, some of which had Art Nouveau influences. Other military engineers also worked as architects and designed a series of works that clearly showed the influences of Art Nouveau. 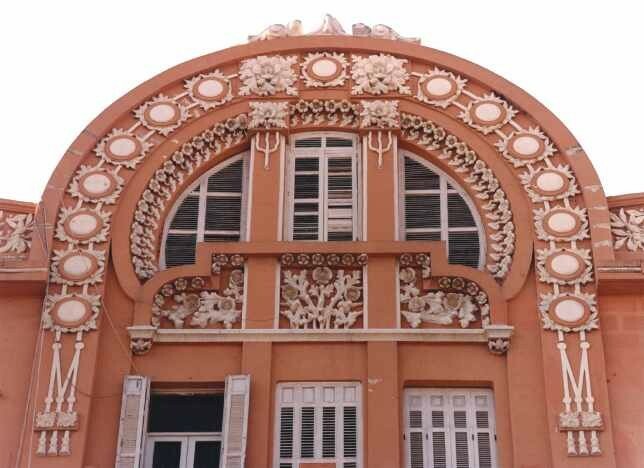 Recent studies have rediscovered these figures, such as Emilio Alzugaray Goicoechea, who designed a residential block at Carrer Cardenal Cisneros 10 (1916), or the mining engineer Luis García-Alix Fernández, who designed an interested Secessionist style garage in 1926. But the Modernista image of the city is due to the work of Enric Nieto, the only person who worked as a qualified architect for many years and, moreover, left behind a very extensive range of works. Shortly after his arrival in 1910, he began to design a series of buildings in which Modernismo was very present both in the creation of façades as in the use of ornamentation. Some examples include the office building for the newspaper El Telegrama del Rif (1912), which was the most Modernista of all his projects, the city's Chamber of Commerce (1913), the Casa Tortosa (1914) and the La Reconquista building (1915). As was common with architects of modern cities, he also adapted other styles, such as neo-Arab and eclectic styles. In the 1920s, Nieto became attracted to modern styles, first Secessionism and later Art Deco, and designed an interesting series of fully modern housing blocks.